When looking for a company to install your pool, you want to find the best quality for the best price! You want only the best for your new pool installation and should expect nothing less. Ensuring that you hire the best company for the job requires some research and comparisons on your end. 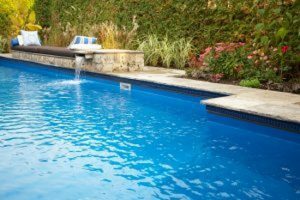 Here are four things to look for when hiring a company to install your pool. When choosing a company to install your pool, there are a few non-negotiable factors, and this is one of them. You want to make sure the contractor you choose has a valid contractor’s license. Don’t be afraid to ask for proof because anybody can say they have one. This ensures that if anything goes wrong during the process or if the contractor can’t finish the installation for some reason, you can receive compensation. Typically a company with a valid contractor license will be under a larger company that’s been in business for a long time called a trade organization. Companies that belong to a trade organization usually follow a set of required ethics, ensuring that they will install your pool carefully and correctly. If there are any problems, the trade organization will see to it that the company is reprimanded. You want to take a visit to their place of business to get a feel for how they run and ask any questions you may have. If the business has a professional appearance, that is always a good sign. This is the time to inquire about what services they offer just in case you want a company that can also maintenance and add special water features your pool. This will provide you with the information you need while also allowing you to see how their customer service is. A company is always going to try and upsell itself, regardless of the actually quality. However, past customers will give you very honest opinions about their experience with a company. Look online for reviews to see what people are saying about a company. You can also look online at some of their past projects to see if it’s similar to what you are looking for. Whether you want to upgrade your swimming pool or get a new beautifully-installed pool in your yard, Paradise Pools can complete the job. We have the expertise to walk you through every step of the process and ensure that you end up with a pool you can’t wait to take a dip in. We serve the Maryland and D.C area. Ready to get started designing the perfect pool for your home? Trust us with the job and be swimming in no time! For more information, contact us online or give us a call at (301) 725-0005. To get more fun pool design ideas, follow us on Facebook, Twitter, Pinterest, Google+, and Houzz. This entry was posted on Friday, April 20th, 2018 at 9:51 am. Both comments and pings are currently closed.